Earn Your BSN at SC! If you are a registered nurse looking to expand your career options, explore the RN to BSN online program at Southwestern College! Your coursework will include exposure to nursing theory, policy, trends and issues, and more. Your education at SC extends beyond the virtual classroom – our nursing program also offers online microlectures to provide you with additional information on employer expectations, personal and professional growth strategies, and other topics and tips for success. Why Choose RN to BSN at SC? Recently ranked by U.S. News and World Report for its online bachelor’s degree programs, Southwestern College offers quality online degrees to adult learners. With courses taught by expert faculty and access to a variety of student resources, SC learners are provided with the tools and flexibility needed to succeed in their education while preparing for professional advancement. Discover more reasons to choose SC! 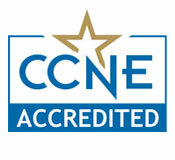 The Bachelor of Science in Nursing program at Southwestern College is accredited by the Commission on Collegiate Nursing Education (www.ccneaccreditation.org). Apply principles and theories from the sciences, humanities, and arts to the nursing care of individuals, groups, and diverse populations. Provide culturally congruent, holistic, patient-centered care to individuals and families across the health continuum, across the lifespan, and across healthcare settings. Discern and apply scientific evidence to promote the health of individuals, families, groups, and communities. Demonstrate integrity and ethical decision-making in the provision of competent, compassionate care, respecting the dignity and worth of each patient. Use patient care technologies, information systems, and communication strategies that support safe, quality nursing practice. Understand and leverage systems in promoting change for quality improvement. Develop necessary communication, presentation and relationship building skills for advocacy and leadership in healthcare. Apply knowledge of healthcare policy and finance as well as legislative and regulatory processes to influence health, both locally and globally. Advocate successfully for the health of the public and the nursing profession. Develop a professional identity and incorporate professional values in practice. Visit our faculty page to view current RN to BSN instructors. Registered nurses with a diploma or an associate degree in nursing may earn a Bachelor of Science degree from Southwestern College Professional Studies. This program builds on previous nursing education and experience and is designed to position graduates for leadership roles and career advancement in a variety of healthcare settings. In recognition that nurses are broadly educated and have transferable knowledge and skills, the Southwestern College RN to BSN program provides the opportunity for further study in nursing professional practice including leadership, community health and evidence-based practice. The Nursing program is completely online. Have completed a Registered Nurse (RN) diploma or associate degree in nursing. A current, unrestricted Registered Nurse license must be obtained by the end of the fourth course in order for the learner to continue with the nursing program courses. Have a cumulative 2.5 GPA for all college course work. Applicants with at least a cumulative 2.0 GPA but less than a 2.5 may be granted conditional admission. Conditional admission restricts the number of credit hours to enroll in during any one session and requires a minimum GPA of 2.5 in courses completed in the nursing curriculum at SCPS. Conditional admission learners are expected to work with their Academic Success Coach. As the first course for registered nurses who are pursuing a baccalaureate degree in nursing, this course explores the increasing complexity of healthcare and changes in professional nursing. Through an understanding of nursing theories and the history of the role of the nurse in society, learners develop further knowledge of the evolving healthcare environment and delivery of healthcare, and the developing role of professional nursing in managing, collaborating, and advocating for quality patient care, and forging productive relationships with other key stakeholders as they examine and plan individual career goals. Used appropriately, technology can improve quality, reduce cost, eliminate waste, augment access, increase efficiency and productivity, and improve patient safety and health outcomes. Learners will develop leadership and management competencies related to health informatics and the use of information for quality assessment, evaluating performance, decision-making, and other related purposes. Learners will explore effective and ethical information management practices that help to ensure patient confidentiality, information security and integrity, and information accessibility. The healthcare system includes hospitals, nursing homes, clinics, school and drugstore clinics, and a variety of other organizational entities. Behavior of individuals and organizations, forms and styles of communication, and cultural values and patterns differ according to the size of the healthcare organization, type, location, purpose, and assumed typical patient. Learners in this course identify organizational theories and models of care that they apply to various healthcare settings in order to understand the relationship between theoretical models and organizational dynamics. Topics for discussion and analysis includes systems thinking, process improvement projects, regulatory requirements, and models for advocacy and collaboration. Learners develop theoretical and practical knowledge of leadership and management components of nursing practice. Through a study of research-based theories and concepts, learners cultivate an appreciation for the roles of leadership and followership. The course also explores the nurse manager’s operational leadership and management responsibilities, including effective communication skills, management of personnel, the budgetary process, risk management, and human resource responsibilities. Upon completion, learners will be able to utilize evidence-based research and practice knowledge to impact progressive healthcare improvements. Learners develop the skills to read, critique, analyze, and determine how to utilize research and existing knowledge bases in nursing practice. The course provides the learner with an understanding of the evidence-based process and its application to nursing care. Developing the skills to access sources of evidence through databases and to utilize a model to translate the evidence to practice, learners increase their knowledge and skills to participate on a team implementing evidence-based care. The approach toward medical care has evolved from considering the patient a subject to treat to inclusion of the patient as a member of his or her care team. This course explores the importance of understanding a patient’s genetic profile, the patient’s understanding of his or her illness, the patient’s culture’s values, beliefs, and norms to be considered toward illness and treatment, and the patient’s own goal for treatment and its outcome help form the basis for a team-based decision regarding the patient’s care. Because each person is a member of a community, the course includes a focus on the social and economic principles that contribute toward the formation of a community’s culture. Learners gain knowledge in inter-professional communication and the optimization of expertise. This course includes information required for examination of ethical decision-making in clinical practice. The focus is on values clarification, ethical theory, ethical decision-making models, and professional ethical standards. Emphasis is on ethical obligations of professional nurses in their roles as citizens, members of a profession, providers of care, and designers and managers of care. Learners develop an understanding of the concept of partnering with the community as the basis for nursing practice in and on behalf of the community. Epidemiology, illness prevention, health promotion, disease prevention, and disaster preparedness approaches are explored and applied to community settings. Learners apply the practices of community assessment, disease prevention, and health promotion to planning, implementing, and evaluating community health interventions. Learners study current political, economic, and social trends affecting nursing and the healthcare system. Learners will integrate knowledge from previous courses to further explore healthcare quality and safety, evidenced-based practice, informatics, and the nurse’s role in today’s healthcare system. the Program Director, faculty, Field Supervisor (Preceptor), or an authorized representative from the healthcare setting, if different from the Field Supervisor. The plan is developed and is approved by the Program Director or an authorized representative before the project begins. The Program Director or designee serves as an advisor throughout the project. The course will culminate in the preparation of two comprehensive projects: A scholarly, research-based, and comprehensive report on the outcome of the clinically focused project; and a detailed and substantiated presentation on how the learner has achieved the nursing program outcomes through his or her coursework, practicum, and professional nursing project. Prerequisite: completion of all NURS courses; concurrent enrollment permitted with prior approval from the Nursing Director. This is a 6-week, 1- credit elective course. Students will be required to register for NURS435B in the session immediately following NURS435. Students can enroll in NURS435B a maximum of one time in order to complete the practicum and project. Prerequisite: completion of all NURS courses (concurrent enrollment permitted for NURS427 only). The following courses are graduation requirements for the BSN program. To assist in the seamless transition from an associate’s degree program to a BSN program, learners who have six (6) or fewer credit hours of their associate’s degree to complete can apply to Southwestern College’s RN to BSN program. Learners can begin taking SCPS nursing courses, while they continue in the completion of their associate degree. RN to BSN learners may receive up to 30 hours of nursing credit for proficiency validated by licensure. This allows 30 nursing credit hours from the associates degree program to be validated as meeting the outcomes equivalent to those achieved in baccalaureate-degree-granting institutions. Credit hours are granted by transfer for associate’s degree RNs holding a current, non-restricted RN license. 40 credit hours are granted by transfer for an accredited Diploma in Nursing. College coursework taken by students in addition to the above may be transferred in per college policies. Transcripts are evaluated on an individual basis. Southwestern College is not authorized to accept students from Rhode Island or Tennessee. All degree requirements are subject to change. Please see Southwestern College Professional Studies Catalog and Nursing Handbook for the for the most current degree requirements.